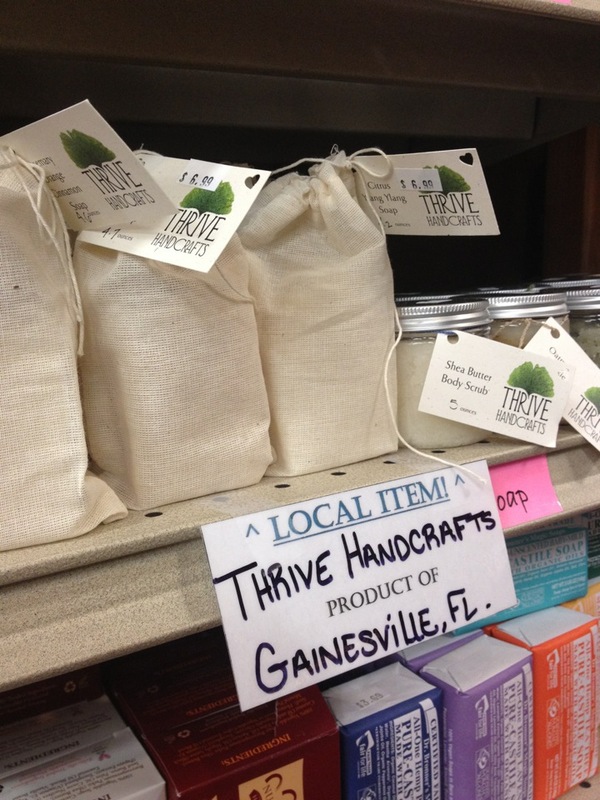 I am seriously fired up about this: Thrive Handcrafts are now on the shelves at Ward’s in Gainesville! I have been shopping at Ward’s for most of my life – my grandparents lived just a few blocks away. I remember shopping at Ward’s when they were located around the corner on 6th Street (where Cecile’s is now). These days, we do a majority of our shopping there. And now look – my wonderful handmade soaps, scrubs, and deodorants are for sale there! This entry was posted in Uncategorized and tagged celebrate, retail, shop local on February 15, 2012 by niemama.